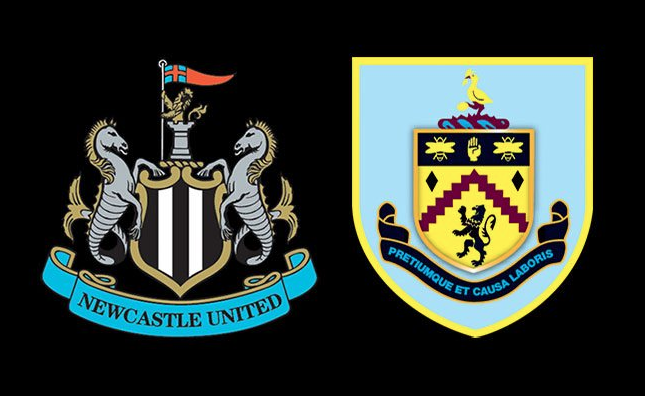 Burnley (H): Pre-match thoughts, team news & predicted line-ups – NUFC blog – Newcastle United blog – NUFC Fixtures, News and Forum. 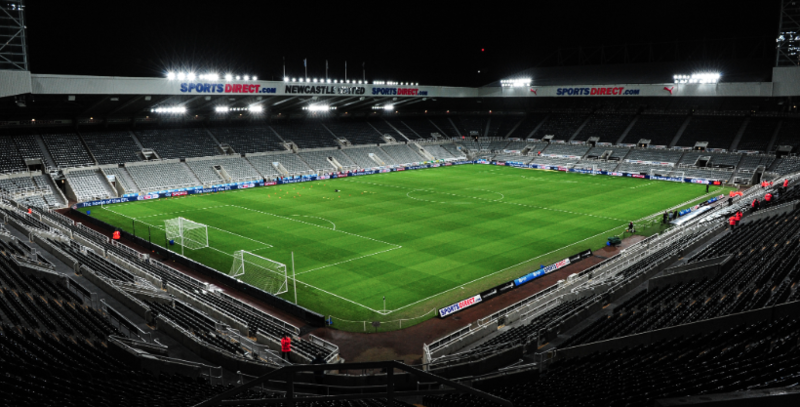 After a huge win over Huddersfield and an electric Almiron debut to go with it, it’s fair to say us Newcastle fans will be walking up to St James’ Park with a real spring in our step ahead of this one. With players on from, our system starting to work a treat, confidence high and some real flowing football on show over the weekend, there’ll be genuine belief that we can see off Burnley and take another big step towards survival – but we can’t afford to take our foot of the gas. It would just take a defeat and wins for Cardiff (who play at home to an out of sorts Everton) and Southampton (at home to Fulham) and we’d suddenly look in deep trouble once again; so this really is another huge opportunity to push towards that 40 point mark. I’m confident – and rightly so based on what we saw on Saturday and the fact it was a stroll in the park playing against 10 men for 70 minutes – but Burnley are in great form and have been VERY hard to beat of late. Aside from an FA Cup hammering at Man City, they’ve drawn 3 and won 6 of their last 10, beating Spurs over the weekend, getting a point at Man City and winning convincingly at Brighton in 3 of their last 4. Take our foot off the gas and we may come away frustrated from this one. Hayden and Longstaff deserve to keep their spots in the side, but with this one coming just 72 hours after the Huddersfield win, combined with the fact we have Shelvey, Ki and Diame all waiting for game time, Rafa *MIGHT* just rotate a little. Aside from a potential change in midfield, I’d be surprised to see Rafa change things up much – even though the likes of Dummett, Fernandez and Atsu may also feel hard done by to miss out again. Ashley Barnes – An old fashioned centre-forward who’s brilliant with his back to goal, strong in the air and a real handful. Lascelles struggled with his power in this game last season, so he, Schar and Lejeune will have to stand up to the physical test coming their way. Tom Heaton – Burnley have played 8, won 5 and drawn 3 since he returned, with him appearing to give what was a leaky back four real confidence in recent weeks. He was outstanding in their 2-1 win over Spurs on Saturday and is a fantastic shot stopper, so we can’t afford to waste the chances we did against Huddersfield if we plan to beat Burnley here. Phil Bardsley – I fully expect Almiron to tear him to shreds, but I’m wary of how dirty and rough Bardsley could be. Let’s hope our £21m man doesn’t come away from this one crocked! Predicted Burnley XI – (4-4-2) – Heaton – Bardsley, Tarkowski, Mee, Taylor – Hendrick, Cork, Westwood, McNeil – Barnes, Wood. Benitez has confirmed once again that Clark and Elliot will be the only two players missing, but it remains to be seen whether Rafa rotates and hands chances to the likes of Shelvey, Diame, Ki, Fernandez or Dummett. 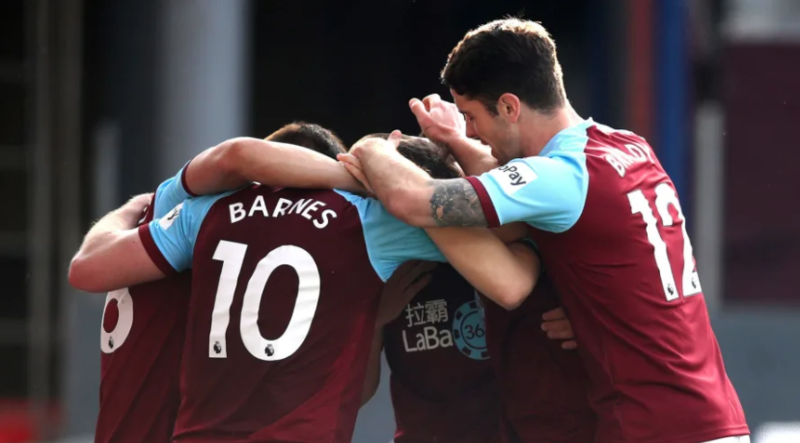 For Burnley, Robbie Brady and Johann Berg Gudmundsson remain out, but they have no fresh injury issues after a 2-1 win over Spurs on Saturday. Regardless of the fact we played against 10 men for the majority of Saturday’s game, there were huge positives on display all over the pitch, with us finally looking like a well balanced side with quality in all areas; but take Burnley lightly and we’ll be left frustrated. They’ve not been beaten in the League since Christmas and are back looking like the side that finished 7th last season. I’m hoping we can make it a fourth straight league win at St James’ Park, with my heart saying a 2-1 win, but my head’s wondering if we’ll find this one tough and be forced to settle for a point. Rafa WILL NOT change the starting lineup, whatever you think Olly. Muto to replace the Spanish Donkey on the bench. Dummett, Shelvey, Ki, Diame, Fernandez and Muto give us very strong options on the bench. I predicted Ashley Young would be sent off on Sunday so what do I know. Dirtiest player in the league and never gets sent off. Our 3 CBs pretty much kept their big physical forwards quiet in the reserve fixture earlier this season – and I think they should be able to again. But Barnes and Wood are in good form so it won’t be easy. Heaton has made their defence better overnight, but if Ronnie, Miggy and Perez but a similar shift in, then I see us scoring. My predicted XI is unchanged in fairness. I don’t think he will given our form, but usually it’d be a certainty that he would with 2 games in 4 days and so many first team players ready to play.. This puts everything in perspective. 2 of the greatest players I have ever seen have 11 Premier League hattricks apiece – Aguero and Shearer. Messi scored his 50th, Fiftieth, Yes FIFTIETH top flight hattrick this weekend. He got a yellow , but you are right he’s a sly one. Was concerned when they went down to 10 on saturday, thought they would just sit back and make life hard for us but we were easily the better team with more threat. Burnley will be a different prospect altogether, Barnes is a wind up merchant and the ex Mackem Bardsley will probably try to crock Miggy. Woods another threat. On this day in 2008 the BBC, BBC 2, ITV, ITV2, Sky, Channel 4 andThe New York Times officially declared Stan Boardman not funny. Stan replied – what about the Geermans. How can a “comedian” have a 20 year career with 1 joke? The Krankies did as well, actually. Theirs was I am tiny and not really a schoolboy. I really miss Frankie Howerd and Tommy Cooper. One offs. The Frankie Howerd speech to the Oxford Union on YouTube is about the funniest thing I have ever seen. I’d take a draw tonight. They’re in really good form and that bugger Barnes is a right handful for all defences. geogio: I would go along with you and Olly and accept a draw even though I predict, and hope for, a win. I watched Burnley against Spurs and they are a big physical side. Mike Dean bottled it but Burnley still played OK. In theory we should be able to handle it as we have a few big lads who weren’t starting earlier in the season – Schar, Lejeune, Longstaff, Hayden. Good to see Hayden saying nice things about Longstaff instead of complaining he wants to move. He has been really impressive the last 3 or 4 games. I never thought he had it in him as he hadn’t really shown that much before. Maybe his head wasn’t on straight. I am totally happy to give the lad some credit now that he is producing. The moaning and not producing was a bit irritating. With Diame getting on in years who would bet against a U-turn from Hayden and him saying he wants to stay now? Rogers talking to Leicester then, so you have to wonder if Rafa could be tempted to manage Celtic ? Getting a bit worried now because Uncle Ed is predicting an unchanged team. Ed is never right but a blind squirrel sometime finds his nuts, yes? Well , it’s my birthday thursday so hoping for an early birthday present from the Toon tonight. Thanks Prem, got a few relatives popping in as not able to get out as Lews still ill, been home 3 weeks now. Didn’t see Manqillo being picked. Keeps Ed Harrison’s run of not getting the team right going. Burnley sort of play like Big Fat Sam’s Bolton. Press when they don’t have the ball and hoof it when they do and for set pieces. Going well for us so far with Brighton and Cardiff losing as well. Well I enjoyed that first half like!!. Pundits banging on about the big difference Almiron has made – I don’t agree. Hayden and Longstaff controlling the midfield for us is the big change – outstanding again so far imo. Haven’t heard the cliché that 2 nil up is the most dangerous scoreline. I always think that is dumb. 1 nil down is more dangerous. 5 nil down even more dangerous. I would like to see stats on how many teams actually win from 2 nil down. I bet it is like 1 in 100. Almiron must wonder why the hell we are in relegation trouble. It really is BFS football from Burnley. Press and hoof. Get chances from set pieces. lovely stuff, good job lads. I think that 3rd spot could now be between Saints, Cardiff and Brighton. I know we aren’t out of it yet, but I think 7 points is a cracking gap now and another maybe 2 defo 3 wins sees us safe.